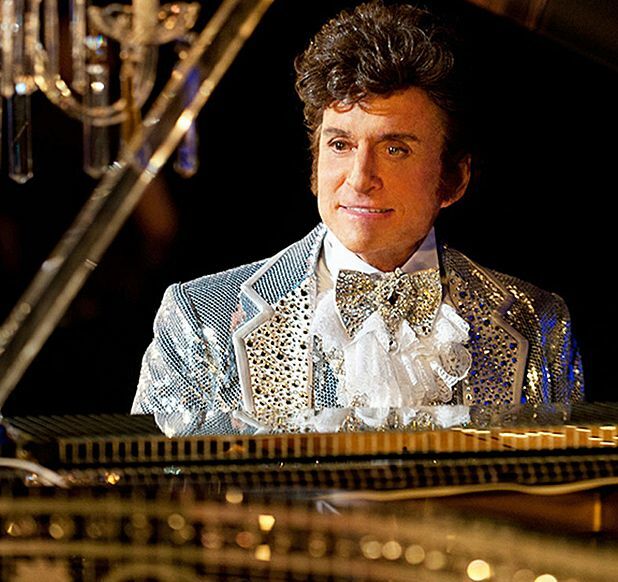 Behind the Candelabra depicts the true story of one of the most eccentric characters ever to tinkle the ivories: Liberace (played in this instance by Michael Douglas). Here are 10 more of our favourite piano-based scenes in film. Michael Nyman penned a score that cemented his reputation as one of the world's finest contemporary composers; Jane Campion employed it in an Oscar-winning story about a mute pianist and her daughter in 19th century New Zealand. One of the highlights is the scene where, having been forced to abandon her piano on the beach where she landed, Holly Hunter's pianist Ada is reunited with it. It's 1944. Jewish pianist Władysław Szpilman (Adrien Brody) has been in hiding from the Nazis for some time, but he's a shell of the man he once was. Discovered by a Wermacht officer (Thomas Kretschmann) while trying to open a tin of food in an abandoned home, he is made to play a piano to prove his identity. His playing moves the officer to the extent that he promises to help Szpilman survive the war. A disheveled, chain-smoking David Helfgott (Geoffrey Rush), having suffered various hardships and mental breakdowns, wanders into a restaurant where a waitress, Sylvia (Sonia Todd), has previously taken pity on him. He approaches the restaurant's piano, much to Sylvia's concern and the amusement of the restaurant's patrons. 'Hey baby, what about a tune?' taunts one of them. 'A tune baby, sure, no worries, no worries,' mumbles Helfgott. And then... well, see for yourself. Piano prodigy Gould was no ordinary character, so an ordinary film wouldn't have done him justice. Instead, this series of vignettes attempted to catch the various facets of his personality, employing dramatisation, documentary and animation, all set to a soundtrack of Gould'd works. The scene where Gould disappears into the horizon, in a reverse of the famous 'mirage scene' in Lawrence of Arabia, while a voice-over describes how one of Gould's recordings was launched with the Voyager spacecraft as a sign of intelligent life, is one of the most affecting in the film. You could pick any Marx Brothers film at random and find a great scene of Chico playing the piano - with his ability to 'shoot the keys' and perform other musical trick shots, he brought music to the team in the same way Groucho brought snappy one-liners and Harpo brought all-out slapstick. Before graduating into his perennial role as noble-souled everyman, Tom Hanks was chiefly cast for his great clowning abilities. He was an ideal fit for the part of Josh, the kid trapped in a grown man's body in Big, and who couldn't pass a giant keyboard on the ground without giving it a go. India Stoker (Mia Wasikowska) and her ever-so-slightly-sinister Uncle Charlie (Matthew Goode) play a highly charged duet on the piano. While Clint Mansell handled the rest of the music duties on Stoker, this piece was composed specially for the film by Philip Glass, in such a way that it can be played by four hands on one piano. While this priceless Jack Nicholson/Bob Rafelson collaboration is probably best remembered for the infamous diner scene ('You want me to hold the chicken?' / 'I want you to hold it between your knees! '), there's also a brilliant piano-based moment when a bored Nicholson spots an old upright on the back of a traffic-jammed truck and hops up to play a tune. Private eye Eddie Valiant (Bob Hoskins) is sitting in a speakeasy where cartoons entertain human punters for cash when he first lays eyes on femme fatale Jessica Rabbit - but not before he watches Daffy and Donald Duck play out a exhiliratingly fast-paced slapstick piano duel.